The Oxford English Dictionary’s first usage of “golden ager” to refer to an elderly person was in 1961. Right from the start, however, people were aware, like my mother-in-law, that we were dealing with a new euphemism. The term “senior citizen” appears to have been coined as a euphemism for “old person” during a 1938 American political campaign. Eventually, the term was shortened to “senior,” a term that until then was used strictly to refer to those in a graduating class. 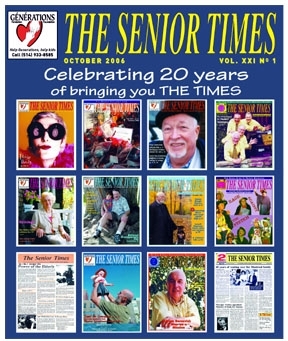 I charge The Senior Times readers with the task of unearthing a new term to describe the aged. Send your suggestions to me at hrichler@canada.com or mail to editor@theseniortimes.com.